Ryoko used to have the most popular kids art class for twelve years. Now she is a mother of three chldren and her students grew up all. 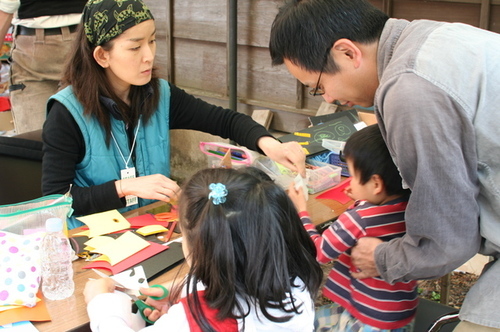 After eight years interval, she holds a art workshop booth for kids.